Venessa Blair's very first experience in sales was representing Avon cosmetics with door-to-door sales. She very quickly established a second territory and won numerous awards, all during her high school years. She learned that she loved to interact with people and help them better themselves and their lives. 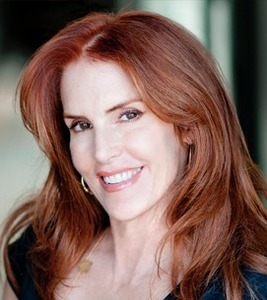 Currently she is a multi-award winning realtor having recently made a shift from the International Previews division of Coldwell Banker to the John Aaroe Group, a high-end full service luxury boutique brokerage firm located on world famous Rodeo Drive in Beverly Hills, California. She also a licensed broker in the State of Colorado with current listings and sales in Aspen. Venessa has gained knowledge and wisdom through years of international travel and by completing four years of UCLA's prestigious interior design program. She also purchased homes, renovated and sold them in the millions of dollars. In addition she is a landlord for her own properties in Los Angeles, California and Aspen, Colorado. With her vast knowledge and personal experience she is able to guide her real estate clients to properly present their properties for sale. Also through her experience she can show buyers the potential of a property and what it may afford them. She is also there to advise against possible poor choices due to emotional decisions. Having represented heads of industry and academy award winning celebrities such as Halle Berry, Taraji P. Henson and Orlando Bloom with multi-million dollar real estate acquisitions and sales, she exudes confidence to assist with each individual clients special needs and privacy concerns. Venessa truly loves the business of real estate and considers every client relationship to be a lifelong one. From Staging to cost analysis and final transition, each purchase and sale is a home, a families heritage, their estate and Venessa wants you to know that she considers every detail to be of the highest importance. With her qualifications, she can also assist you with interior design needs. Venessa looks forward to assisting you in this most important decision making process and will be there, easily available to you with all aspects of your real estate needs - whether it be tucked into the majesty of the mountains or perched on the Pacific coastline.